Cattle producers rely on reproductively sound females to provide them a live calf every 365 days. With proper management, good nutrition and sound breeding decisions, a live calf is typically delivered, and the mama cow keeps her baby alive and thriving. However, what if a hidden culprit wiped out a big percentage of your calf crop before you determined the cause? What is it worth to you to keep 27 extra calves alive? Tucker Coward, owner of Mill Creek Cattle Co., Ramseur, N.C., experienced just that kind of death loss just a few short years ago with his registered Red Angus herd. He calves in 90-day intervals, and within the first 4-5 days after a group of calves were born, 27 of them had died. When he took them to North Carolina State University to be posted, the autopsy revealed they were majorly lacking in Vitamin E and Selenium, both nutrients that are deficient in the ground on his home farm, and both crucial for animal health. For a short-term solution, Coward gave all of his cows a dose of Multimin to help balance their nutrients. However, he was still only experiencing 60-66 percent conception rates from A.I. breeding his cows. He was looking for a solution that would help him increase conception while keeping his herd in optimal health. He found his solution with VitaFerm® Concept•Aid®. In addition to seeing nearly 20-percent increase in conception rates with his A.I. success, Coward said he also experienced a jump in conception with his embryos, seeing between 30 to 40-percent more embryo production and pregnancies. “I don’t baby my cows. They graze on grass and get VitaFerm year ‘round now. I won’t let them run out of it,” he said. 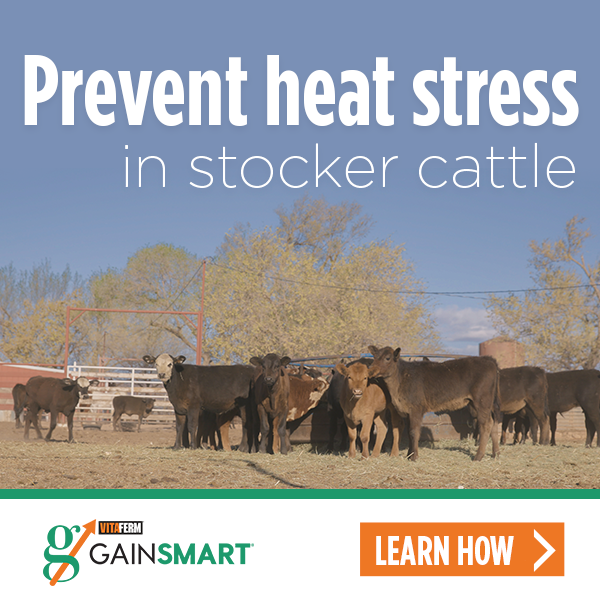 When he isn’t feeding Concept•Aid, he is feeding VitaFerm HEAT mineral, designed to help cattle maintain their body temperature. In addition to his cows out grazing more during the summer time heat, he has not experienced a death loss like he did a few years ago, and he didn’t have to provide the Multimin to his cows last year either, due to the added nutrients like Selenium and Vitamin E in the Concept•Aid. “What’s the cost of Concept•Aid? Well, what’s the cost of losing 27 calves before you know why? Concept•Aid has helped me get my cows bred quicker, kept my calves alive and I noticed that the cows I buy from South Dakota that used to take a long time to shed off, slick off better,” Coward said. All VitaFerm products contain Amaferm, a precision-based prebiotic designed to amplify the nutrient supply of available feed by increasing intake, digestion and absorption. Amaferm is research-proven to increase nutrient absorption up to 30-percent, meaning your feed resources will stretch further. For cattle producers, that live calf is worth a lot. It means the mama is cow is doing her job, the land is doing its job, and the producer is taking the best care he or she can of both the land and the cow herd.